This postcard was one of many in a collection sent back to New Zealand by Frederick James Mettam of Swanson while serving in WWI. Sadly, Fred Mettam died of wounds sustained in action on April 6 1918. 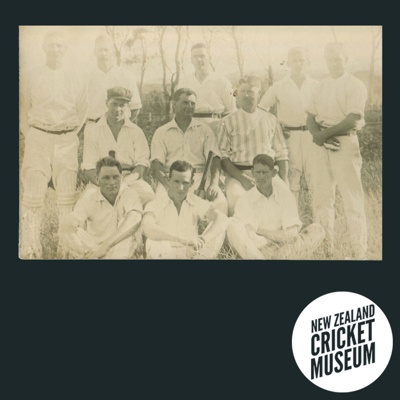 Although it was sent to New Zealand, we suspect it may actually have been taken in New Zealand, possibly around West Auckland where Fred Mettam lived. The man in the middle of the front row bears a resemblance to Fred.